This entry was posted on June 26, 2009 at 12:01 am	and is filed under Uncategorized. 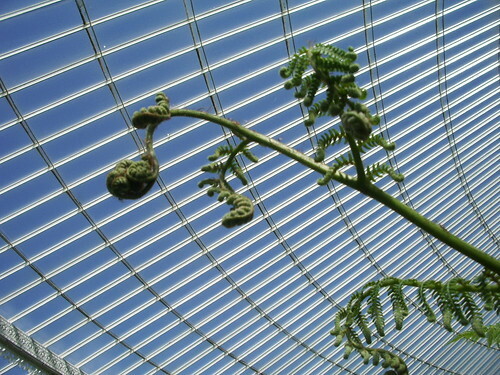 Tagged: Botanic Gardens, fern, Glasgow, Kibble Palace, sky. You can follow any responses to this entry through the RSS 2.0 feed. Both comments and pings are currently closed. Why, thank you, Jackie! Very cool!!!! There I was in the Fern House and saw nary a one fern frond! I did see one fern that was nearly the size of a tree, though! Your building looks newer than ours, from the look of the glass! These are such fun places to visit, aren’t they?? Now who will win the competition I wonder?!!!!!!! !